Tanga has another great deal! Through 10/1, you can get Polaroid Kid Safe Headphones for $10.99 when you use the code SOUTHERNSAVERS. This code will save you $1 off Tanga’s list price. The regular price for these headphones costs $39.99. 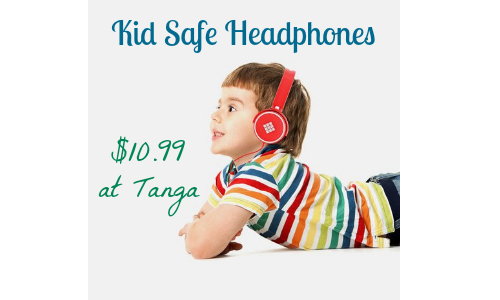 When you purchase these headphones from Tanga and use the new coupon code, you are saving over 70% off! To compare, Amazon has these headphones for $17.98. If you are looking for a fun birthday or Christmas present, then make sure you check out this deal on Tanga.